Apple's rumored plans for a 10.5-inch iPad —not much larger than 9.7-inch models —may make more sense when considering the size of the iPad mini, and the resolution of the 12.9-inch iPad Pro. 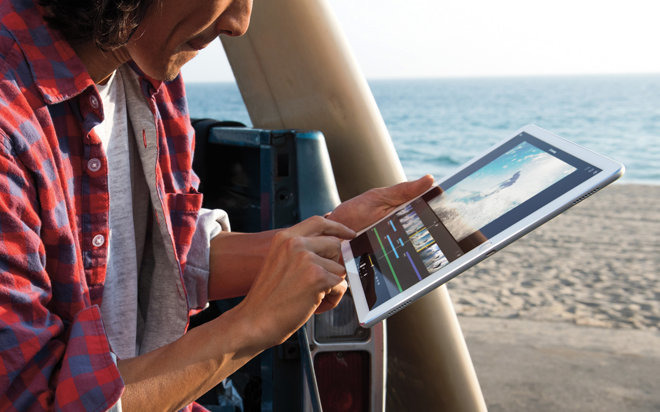 When Apple revealed the 12.9-inch Pro in Sept. 2015, the company made a point of highlighting that the new tablet's width matched the Air 2's height, Studio Neat's Dan Provost commented on Wednesday in a blog post. This allowed two full-sized windows to be displayed side-by-side in iOS 9's iPad multitasking. If the 10.5-inch iPad keeps the same resolution as the 12.9-inch model —2,732 by 2,048 —but given the pixel density of the iPad mini at 326 pixels per inch, the width of a 10.5-inch iPad would be the same height as the Mini. Apple is rumored to be launching three new iPads this quarter, the other two being updated 9.7- and 12.9-inch models. The 10.5- and 12.9-inch units may sport an A10X precessor, relegating the 9.7-inch size to budget status. There have been no indications that Apple is planning to update the Mini, which could mean that the Mini 4 will remain the most recent "small" iPad or get cut completely.